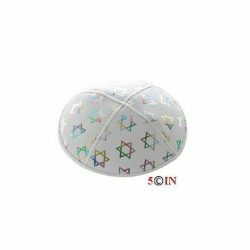 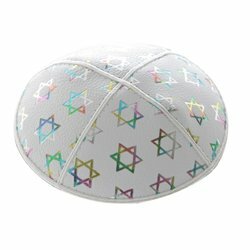 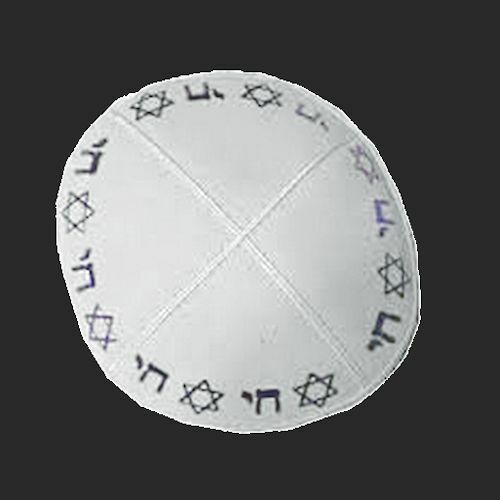 Suede kippot kippah kipa kipah yarmulke yarmulka head covering – White Suede with Embossed Gold Foil Star of David & Chai. 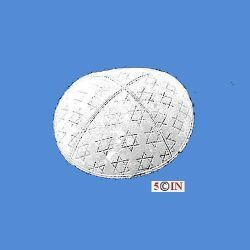 (Image of Design may be shown in another color.) 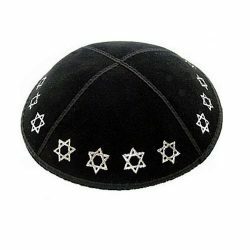 6″ Dia. 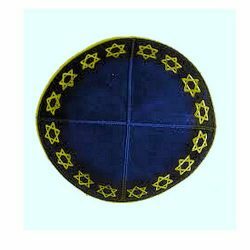 SKU: KIPACHAISTAR2WG. 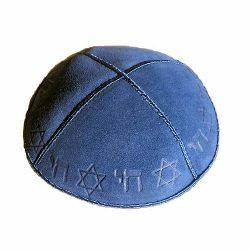 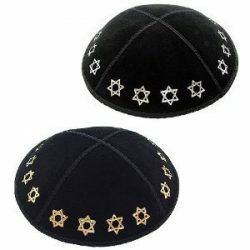 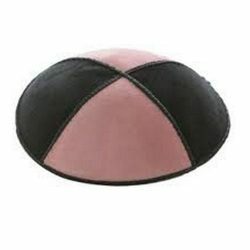 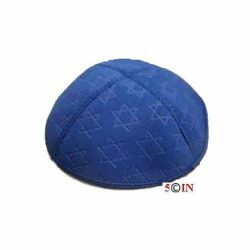 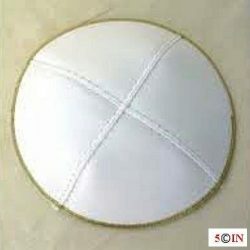 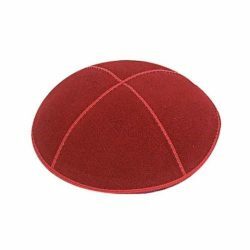 Category: Leather & Suede Kippot.